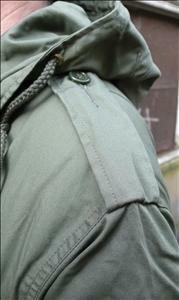 M51 Fishtail Parka. This is an excellent reproduction of the now hard to find originals. It is hard to tell the difference between the two. The main difference is that this reproduction has a storm cuff which is a great addition and one you cannot even see from the outside. 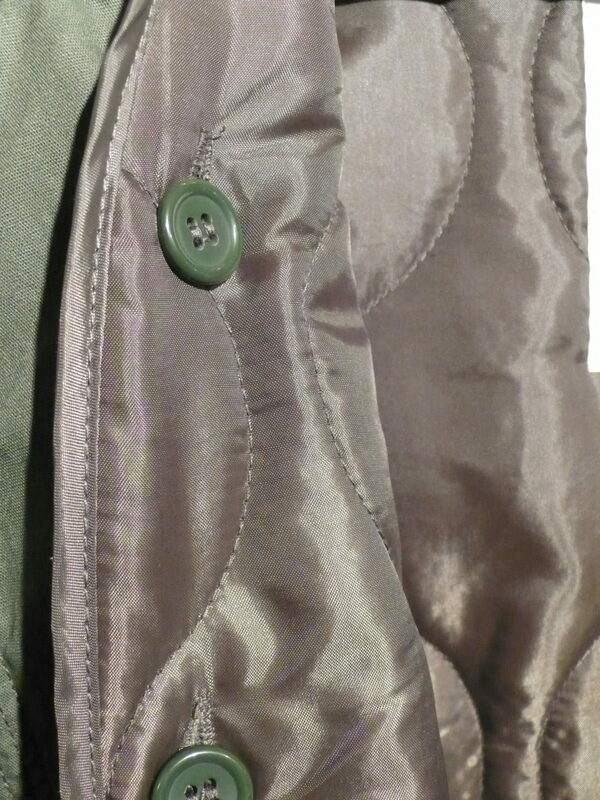 Also has button out quilted lining. We don’t manufacture this ourselves but import it from the US. However this is actually made in the far East. It’s not as heavy weight as the originals but we think the best looking repro available. Please enquire about ladies sizes which would also be suitable for bigger children. Please note that like the originals these Parkas are very big indeed if you think you are a medium you will probably be a small in these! This parka looks awesome, but how does it hold up in the nasty weather? Is it a 100% cotton shell or a cotton/poly mix? I believe it’s not really water/wind-proof, right? Please share your experiences with it. Hi Nigel, thanks for your comments. It is very much like the original, in that it is best described as shower proof; ie. it is not made from a modern waterproof material. That said, we have sold a great number of these, and no one as made any adverse comments on it's weather resistance. Hi Nigel, thanks for your comments. It is very much like the original, in that it is best described as shower proof; ie. it is not made from a modern waterproof material. That said, we have sold a great number of these, and no one as made any adverse comments on it’s weather resistance. Perfect Parka! Perfect Service! Thank you again Jonathan! 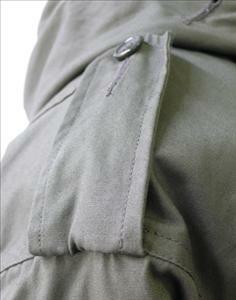 M51 Fishtail Parka reviewed by Jan H.
Can’t get any better! Warm, nice, durable. Thank you! Absolutely brilliant! 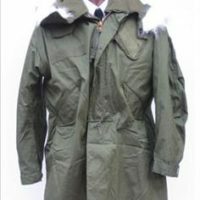 The quality of the coat is fantastic although its not the original m-51 it looks exactly the same. The colour, sizing and style are all spot on from what i can tell. I havent got a real m-51 to compare it to (unfortunatly) but from all the pictures and videos of the original ive seen, this looks identical, only under close inspection can you see the difference. Even these differences are actually improvements in my eyes. Buy one and see for yourself! Sleeves are cut slim and need to be fuller to achieve the original M51 look,the button in lining could also be improved upon, with an off white fleece type similar to the wool original. with these improvements it would be ace. 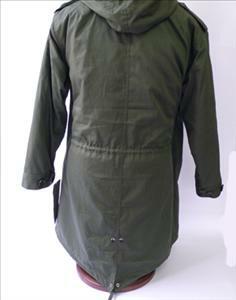 But having said that it is still a nice parka. My parka came today and I love it. I can’t wait to sow my patches on it. Fits beautifully The quaulited inner jacket it is nice and warm, glad it’s raining tomorrow so got an excuse to wear it. My dad who had a orginal 60’s parka thought it was a real one. Ordered this the other day, i must say, im so impressed. 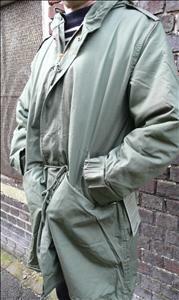 for a 14 year old mod this is just the top stuff, its a shame i have to wait for winter so i can wear it! Thanks so much guys, really looks great, can’t recommend it enough! This m51 replica is awesome and very confortable and it looks like the original one, same colour, same shape and same details. 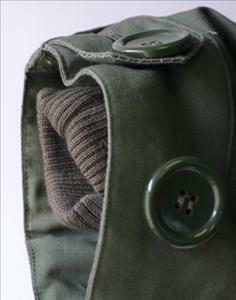 The only downside is the liner, that is not warm enough, but you can always get an m65 original liner and attach it to your m51 parka. I am definitely very happy with this product. 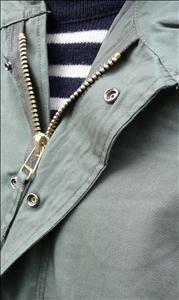 Yet again Jump the Gun have managed to come up trumps… This parka is by far the best fishtail parka around. After searching for one for such a long tme. 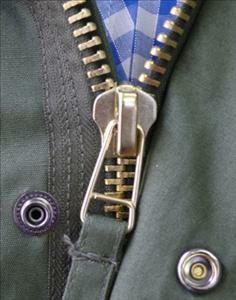 I had my reservations- However on inspection this parka is better than the originals. Still keeping the original look, but bringing it up to date with a bit more of a fitted look. The storm cuffs are an excesslent addition, especailly when riding a scooter. Lucklily I managed to get my XXS on ebay, after it sold out at Jump the Gun. I just hope they get some more in for next year, as I would buy another without a doubt. m51 parka. 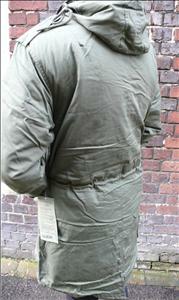 pleased with my m51 parka from jump the gun. it looks the part and fits good.tuck a bit of a chance by ordering mail order as i like to see things first for myself.compaired to an original it comes up quite well.the outer shell is the same colour and the cut is very good.the button in liner is not the same as the originals but is still quite good.also has storm cuffs to both sleeves which you cant see from the outside anyway.all in all a good copy of an original m51. price is a bit steep but think what you have to pay for an original.if your not too picky its a good copy.